This perennially popular book of advice on how to achieve personal and professional success is treasured for its timeless insights on how to make one’s way in the world. 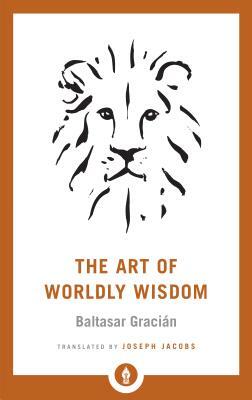 Written in the seventeenth century by Spanish Jesuit scholar Baltasar Gracián, the teachings are strikingly modern in tone and address universal concerns such as friendship, morality, effective leadership, and managing emotions. An enlightening guide for life, this edition also includes an informative introduction by Willis Barnstone that explores Gracián’s background and provides insightful historical and literary context. Baltasar Gracián was an aphorist, imaginary biographer, and novelist, who published studies of ideal figures and handbooks on the arts of rhetoric and comportment. His books include The Hero, Shrewdness and the Art of the Artist, The Art of Worldly Wisdom, and The Master Critic. Many high officials felt attacked by the controversial and critical works of this Jesuit priest-professor. Gracián refused to be censored, and was eventually confined to solitary house arrest, where he died.